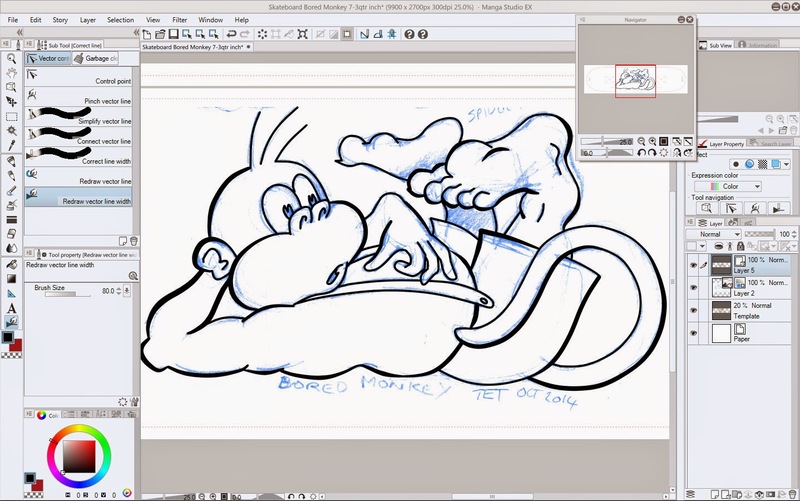 Long time readers may remember the Skate Monkey character I started creating for CrazyTalk Animator 2 towards the beginning of 2014. That project still remains unfinished because... Life/Business. However, I've been trying to get back into drawing again (like with an actual pencil and paper) just to remind myself (and a few of my detractors for using GoAnimate) that I can actually draw. Also to further teach myself how to finish off my pencil drawings in Manga Studio. I really don't use that software enough to get what I learn to stick! Pencil image scanned. Inking begins. Inking done. Adjusting line thicknesses. 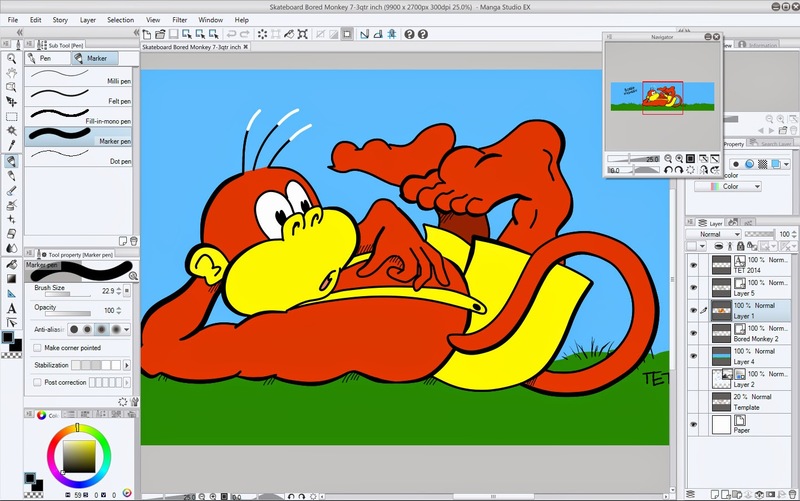 This actual image is intended to go on a skateboard - since that's where the character started out. 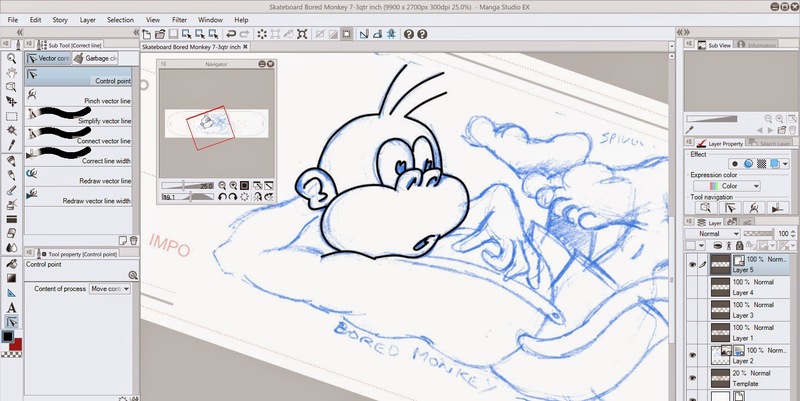 I've also renamed the character from 'Skate Monkey' to 'Bored Monkey' because I think that name will have wider appeal should I ever manage to build any kind of brand with it. I do hope to be getting back to the animated version of the character in the coming months but for now I hope you enjoy this new image.